With $200bn in spending, it was frankly time to stop giving digital media a pass. 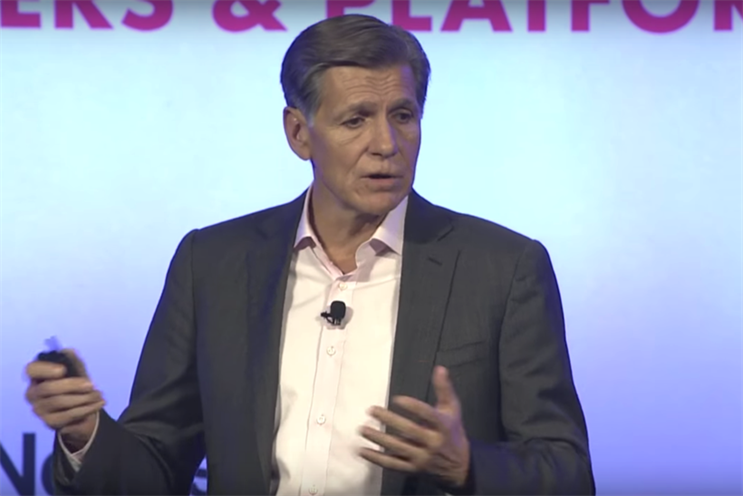 It has been nine months since Procter & Gamble’s global chief brand officer Marc Pritchard made his explosive speech at the US Interactive Advertising Bureau Annual Leadership Meeting in Florida that blew the lid off the issue of digital transparency and threw the world of digital marketing into turmoil. Perhaps it was no surprise that when the world’s biggest advertiser speaks out, people listen. However, when a further scandal rocked the industry after reports appeared just weeks later in The Times claiming that brand safety was being compromised – particularly on YouTube – by ads appearing next to inappropriate and at times offensive content, the two issues became interlinked. It seemed inevitable that something had to be done to restore confidence among advertisers. Giving an update at the DMEXCO conference last month, Pritchard described 2017 as the year the marketing industry received a "wake-up call" – and it was one for which he had been the chief cheerleader. He added: "The reality is that, in 2017, the bloom came off the rose for digital media because of the substantial waste in what has become a murky, non-transparent, even fraudulent supply chain. With $200bn in spending, it was frankly time to stop giving digital media a pass and insist that it grow up." To prove the point, after his initial diatribe Pritchard subsequently cut his digital media spend by $100m and reported no change in sales, prompting Mark Evans, marketing director at Direct Line Group, to ask: "What were they doing?" However, Pritchard’s view is echoed by Paul Troy, chief marketing officer at Confused.com: "For too long, digital display and video platforms were given free licence in terms of delivery. The lack of transparency around aspects such as viewability has always been there. Most brands and agencies ignored it. However, it’s now out in the open and needs to be addressed." So how much has been done, and have digital platforms reached a level of maturity where they can now be trusted? Well, to some degree, yes. At DMEXCO, Pritchard seemed rather more sanguine about digital marketing’s prospects, noting that the industry was "60%" of the way to implementing the things necessary to usher in a new era of digital transparency. He said that P&G, along with other companies and organisations including the US IAB and Association of National Advertisers, had reached an agreement to improve standards and go some way to restoring confidence in digital marketing. Measures include: the adoption of one viewability standard; an agreement on third-party accreditation; a demand that agency contracts are transparent so advertisers know what they are doing with their money; an elimination of fraud so that humans rather than bots see ads; and a greater emphasis on brand safety so ads appear in an appropriate environment. These measures, according to Pritchard, will be ready by the end of the year. Phil Smith, director-general of ISBA, agrees that things have improved since Pritchard’s initial speech, but believes the issue hasn’t gone away completely, particularly in the area of viewability: "Major platforms have opened themselves up for auditing by the Media Research Council [the body responsible for advancing audience measurement standards], but the MRC standard [50% for at least one second with display ads; 50% for at least two seconds with video ads] is a minimum that advertisers think acceptable. Many advertisers and agency networks think that the gold standard should be set at 100% – and this is something that we have agreed with the IPA." Both Smith and Pritchard say that some media owners have been receptive to their demands. Pritchard names YouTube, Facebook and Twitter as those that have been particularly responsive to requests to ensure that not only is content safe but also of quality. "We have zero tolerance to our ads running in inappropriate content, and we now work with the top players who have acted responsibly on inappropriate content," he says. Smith, however, says that the industry is still at the start of a long journey, and that the issue of inappropriate content has always existed even in the pre-digital days, and probably always will. So how much do marketers need to stay abreast of these developments? After all, there is an argument that these are issues that they pay their agencies to deal with and keep them informed about. In fact, it could also be argued (as Pritchard has) that agencies were complicit with the problems of viewability and inappropriate content. Zoe Harris, group marketing director at Trinity Mirror, says that both parties are to blame: "For some reason, with online it seems to me that often all sites are treated as equal by agencies and marketers. We wouldn’t put the same brand ad that we run in a glossy monthly in the local church newsletter, or our 48-sheet as an A4 poster in the Post Office window, but it seems to be the consensus that the equivalent of this is perfectly acceptable in the digital world. Only you know the nuance of your brand, and only you know the right context for it." Dan Hagen, chief strategy officer at Carat, thinks the issue of viewability standards won’t go away anytime soon because it’s too big to fix overnight. He says that it is incumbent on all sectors – advertisers, agencies and platforms – to work together to make the ecosystem "cleaner". "Progress has been made but I hope to see increased co-operation," he says. While Pritchard remains optimistic that the digital platforms are getting their house in order, it seems that this will continue to be a watching brief. "We’re only going to invest where we can prove it is efficient, safe, effective and high quality," he told the DMEXCO crowd. Such a warning should keep all media owners, regardless of channel, on their toes.